Two of the things I love most - Disney and Crafting!! 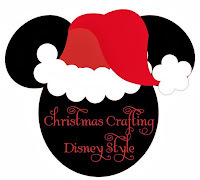 Between now and Christmas I will be bringing you fun holiday crafts with a Disney theme. Sometimes I will be sharing others great crafts, other times I will be creating myself. Hopefully they will inspire you to do some magical creating yourself. 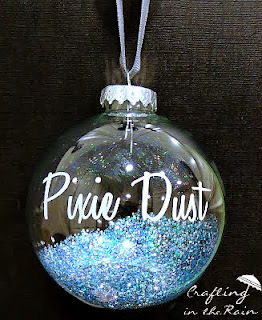 Today I am sharing a simple but beautiful Pixie Dust Christmas ornament from Crafting in the Rain. Steph leads you through all the steps to make one of your own. If you need a Pixie Dust decal let me know, I can add them to the Etsy shop. This is so adorable!! I think I'm going to have to do one of these, I just happen to have some clear glass ornaments waiting for some attention.